Cart66 comes with your own slice of our secure cloud servers to store and deliver your digital content. You don't have to worry about people sharing links to your products. 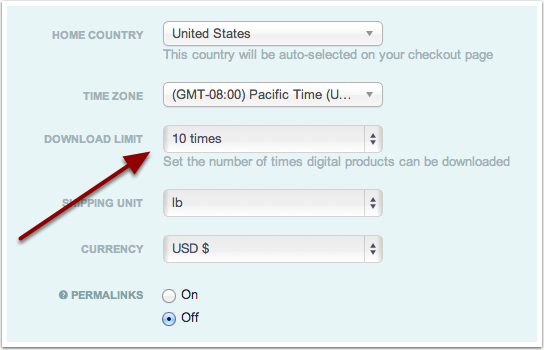 Cart66 even lets you specify limits to the number of times your files can be downloaded. Once you upload a file it can be used in as many products as you want. A digital product can have as many digital files associated with it as you like. For example, if you are selling an album of your band's MP3 files, you don't have to zip them all up and sell a zip file. Instead you can upload each track individually then sell them all as an album and create products to sell individual tracks. You only need to upload each track one time then you can mix and match your digital files as you create digital products. You can even include a PDF of the album artwork that they can download separately. Here is how to upload files to your digital library. To upload files to your Cart66 digital product library, login to your Cart66 app account and visit the files section from the sidebar menu. If you have not yet created any products, you will need to click the button to upload your first file. Click the Browse button and navigate your computer for your digital file. Once selected, the file will appear in the Files To Be Uploaded queue. 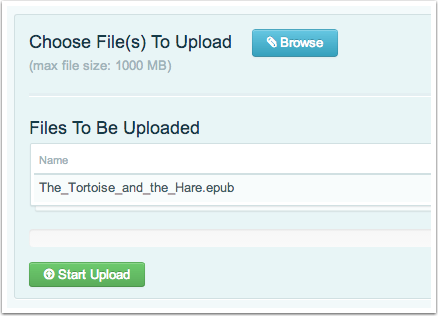 Click "Start Upload" to upload the file(s). From within Manage > Files you can click the "Configure Download Settings" button OR navigate to Set Up > Settings to access the Download Settings options. Here you can limit the amount of times your digital files can be download by a customer after purchase. Click 'Save' to update your settings.